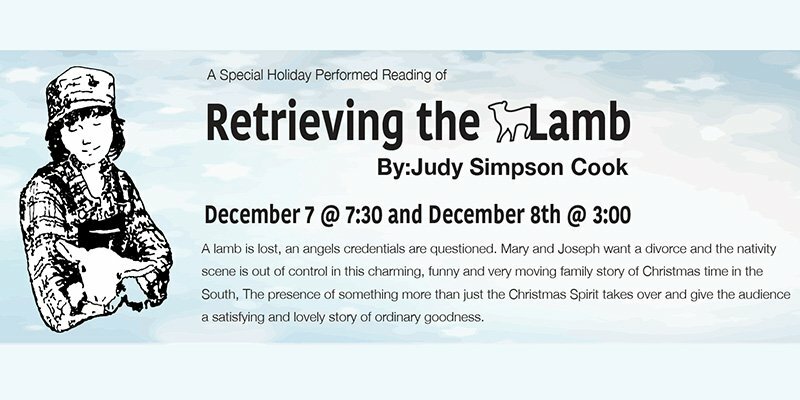 A lamb is lost, an angel’s credentials are questioned, Mary and Joseph want a divorce and the nativity scene is out of control in this charming, funny and very moving family story of Christmas time in the South. The presence of something more than just the Christmas Spirit takes over and gives the audience a satisfying and lovely story of ordinary goodness. Produced by special arrangement with Judy Simpson Cook.